Toni Anderson, a University of Missouri-Kansas City student who has been missing since early Monday was ticketed by police in North Kansas City before she disappeared. The 20-year-old woman who was last seen Sunday, January 15, 2017 after failing to meet with friends after work was driving a black 2014 Ford Focus with Kansas license plate 989-GAX. According to reports, Anderson was stopped by the North Kansas City Police Department on Sunday. Officials still were investigating her next steps after the stop. She was last heard from about 3 a.m. Monday when she told a friend via text that she was getting pulled over. Investigators have video surveillance with Anderson but are not releasing it because it is part of their investigation. 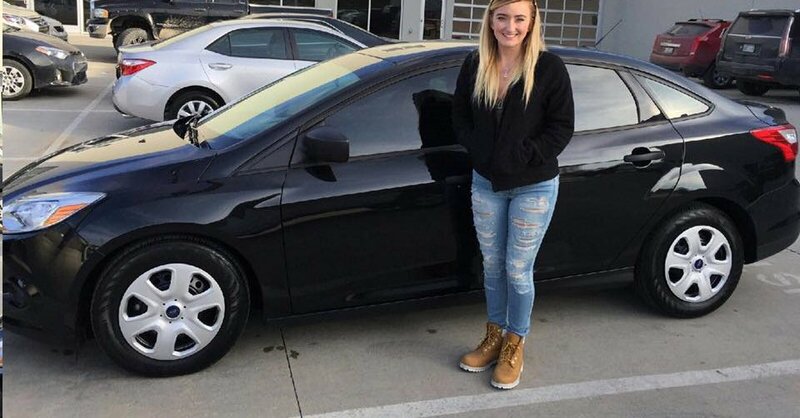 Kansas City police continued their search for a 20-year-old woman who was last seen Sunday after failing to meet with friends after work. Tonie Anderson had just left her job around 4 a.m. and was on her way to meet friends at a location near downtown. Later that morning, Anderson was pulled over by a North Kansas City police officer on Missouri 9 for an improper lane change. 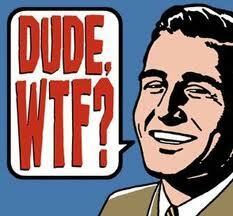 Anderson told the officer that she was almost out of gas. The officer gave Anderson a warning and watched as she drove to a nearby QuikTrip, said Officer Darin Snapp, a spokesman with the Kansas City Police Department. 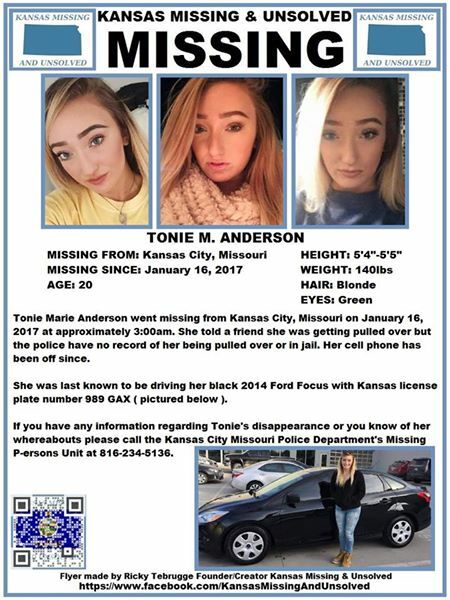 Anyone with information on Anderson’s whereabouts can call the Kansas City Police Department’s missing persons unit at 816-234-5136.. Also, anyone with information should call the Tips Hotline at 816-474-TIPS (8477).